I love green smoothies and I have one almost every day. They've increased in popularity so much over the last year or so, with people making them to up their veggie intake and using them as a healthy snack. 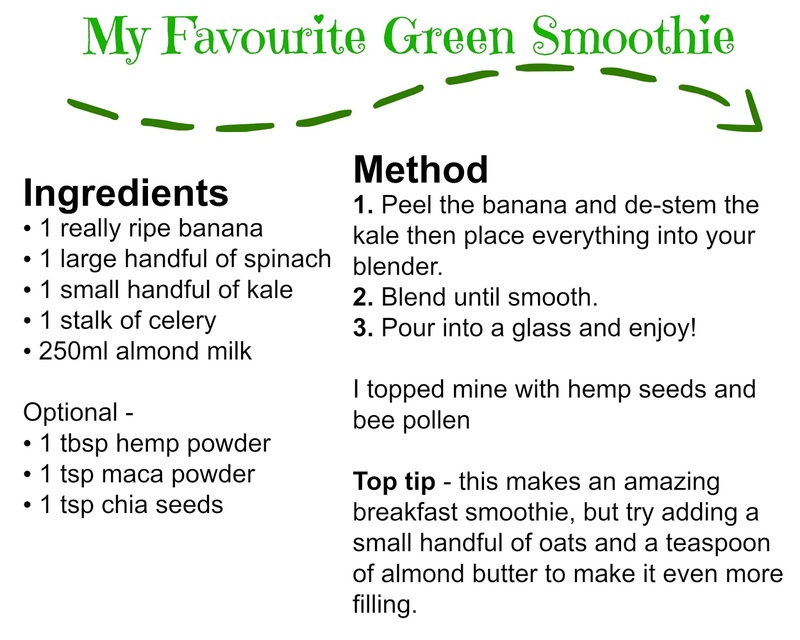 I thought I'd share the recipe for my absolute favourite green smoothie - it's so delicious, creamy, fresh and filling that it's perfect for a mid-afternoon pick me up snack for an energy boost or even makes a wonderful breakfast smoothie if you add some oats and almond butter! 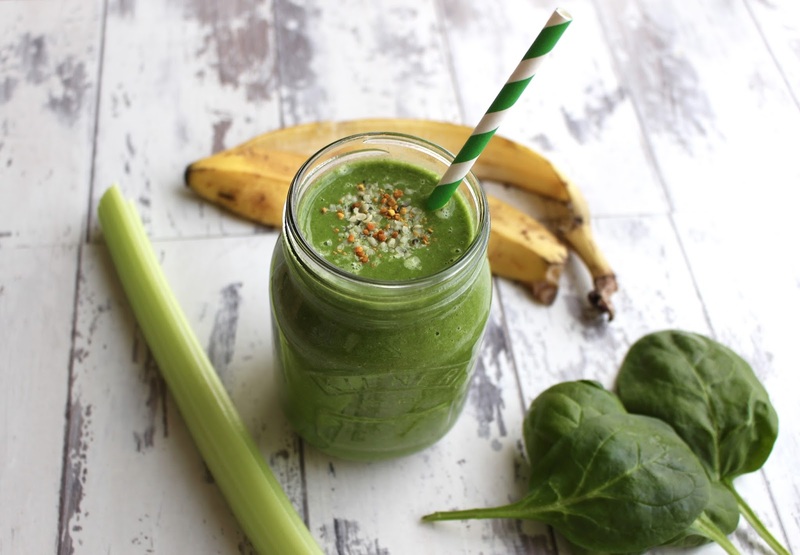 This smoothie is also perfect if you're new to green smoothies because it's not at all earthy and the ripe banana makes it super creamy and sweet. 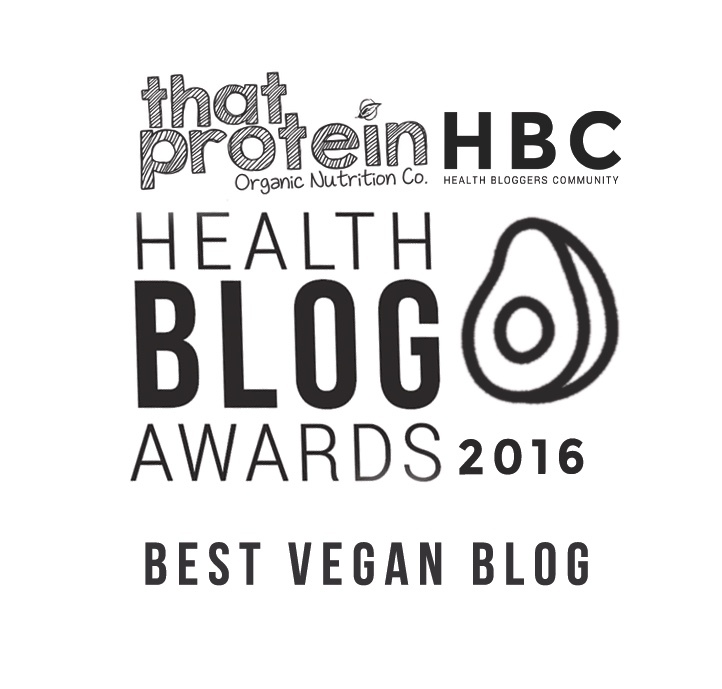 The base of this smoothie is the ripe banana which is ideal for masking the veggies, satisfying a sweet tooth, helping fill you up and boosting your energy levels - you really want to make sure the banana is super ripe, the skin should have little brown spots on it. 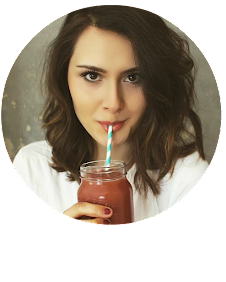 The veggie goodness comes from spinach, kale and celery which all add such a nutritious hit of goodness that you'll feel like a goddess afterwards! The spinach provides your body with a wealth of vitamin A & vitamin K as well as magnesium, protein, calcium and iron, the kale is super rich in iron and vitamin K too with loads of magical antioxidant power and vital fibre. Don't forget the celery because it's so great for improving digestion and it's highly anti-inflammatory too! All this will help to protect your bones, balance your blood sugar levels, strengthen your immune system, boost your energy, improve your hair & skin health, detoxify your system and you'll love the taste too.